It’s YOUR special day, dietitians! 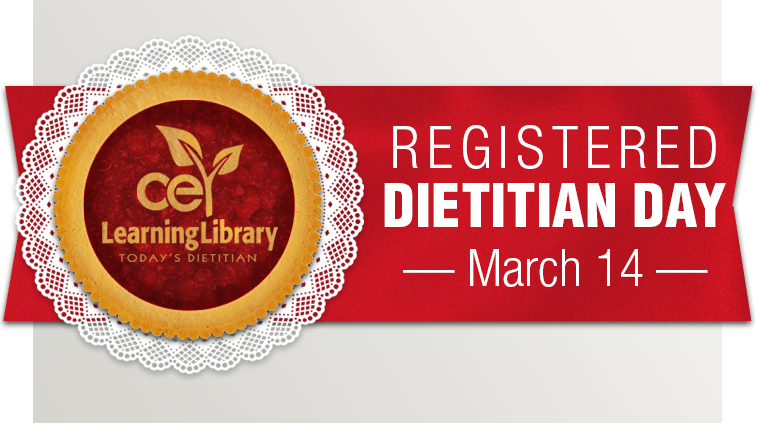 To celebrate, enjoy a slice of savings from your friends at Today's Dietitian! It doesn’t take some complex math calculation to recognize your impact on society and the important research, advice, and knowledge you share with us all. To commemorate your day, we're offering a 50% discount off of almost our entire CE learning Library, including self-study courses, webinars, and packages*! Just fill up your cart and use Coupon Code RDDay18 to take advantage of the savings! THIS OFFER IS VALID FOR TODAY ONLY! Enjoy your day and thank you for your continued support. * Offer valid ONLY through March 14th, 11:59 pm ET. Offer does not include CE Club Memberships, books, or book exams.